When a scientific theory takes shape, new concepts and terms come to light. During the process of their invention, they may need to borrow concepts and terms from other disciplines. It is only at a later stage that formal rigor will take over, appropriately separating the areas. Throughout history, theology has often offered suggestions and abstractions to scientists who consciously or unconsciously made use of them. This happened in the past, but it still happens today. The metaphysical and theological background of some scientific theories is investigated here, taking into account particular aspects of the works of some important scientists. 16.45-17.15. Ivica Crnkovic (Chalmers University): How Reliable and Accurate are Data? Logos & Pathos. 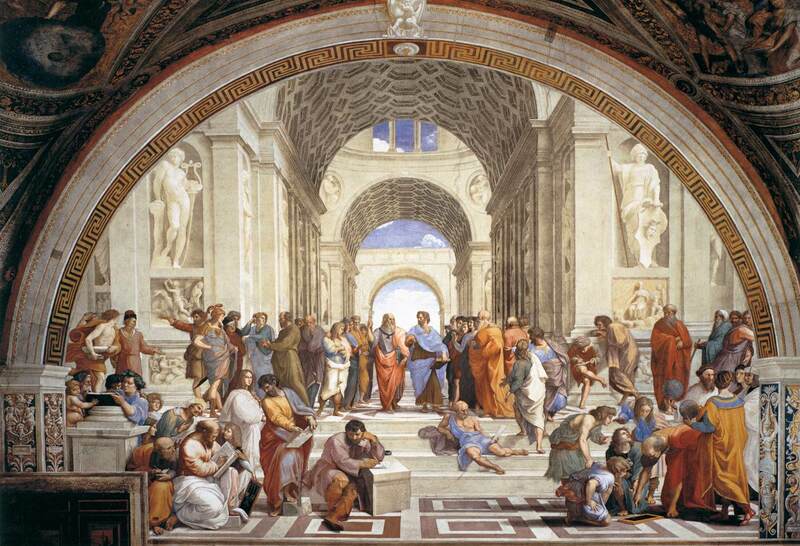 Epistemologie contemporanee a confronto, a cura di P. Manganaro e F. Marcacci, Studium, Roma 2017. Dubrovnik (Croatia), 4-6 May, 2017. 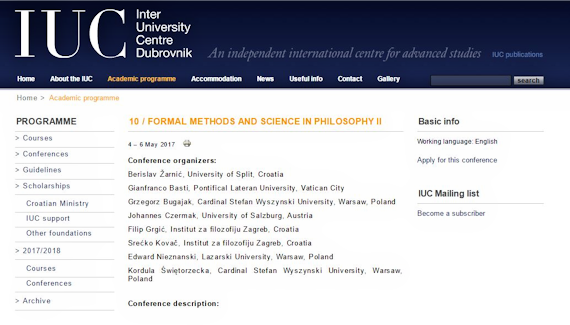 The 2nd World Congress on Logic and Religion will be held at the University of Warsaw (Poland) on June 18-22, 2017, the institutional organiser being the Institute of Philosophy of the University of Warsaw (Instytut Filozofii, Uniwersytet Warszawski) (see the map). The 1st World Congress on Logic and Religion was organized jointly by the Federal University of Campina Grande, the Federal University of Paraiba and the University of Brazil in João Pessoa, and held on April 1-5, 2015. It was devoted to a wide range of problems concerning the relations between logic and religion. At the conclusion of the congress, many participants expressed the wish to continue discussions on these topics in the future and also warmly welcomed the idea to organize such an event in Poland, which can be called a country of logic and religion thanks to both the tradition of Lvov-Warsaw School of logic and a considerable level of religiosity.